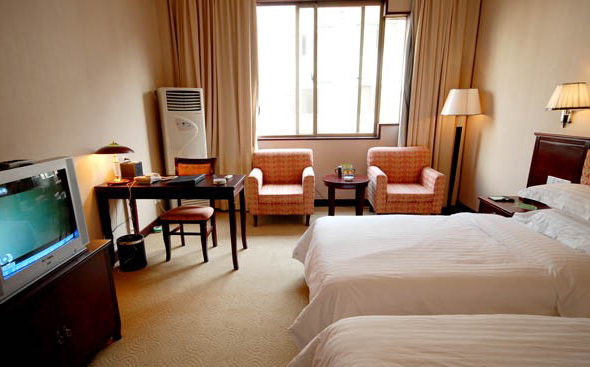 Wulingyuan Jingxi International Hotel,Booking hotel in Hunan： fast， favorable and reassuring. 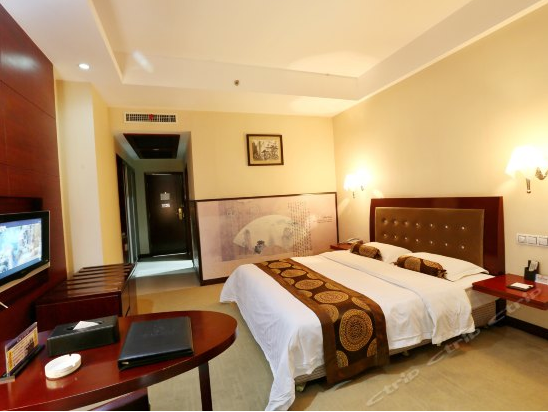 Wulingyuan Jingxi international hotel is a comprehensive foreign-related luxury hotel which is built according to the four star standard and is hosted by the judicial system. 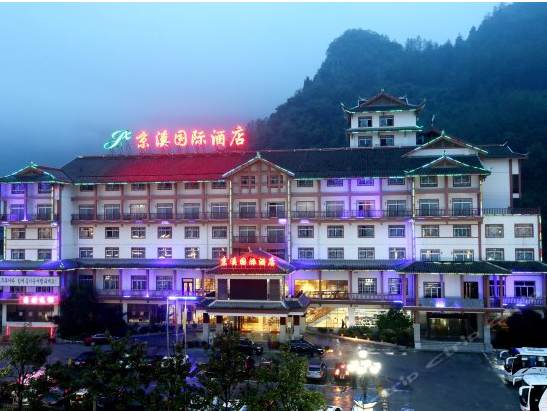 The hotel is located in the center of Zhangjiajie Wulingyuan scenic area, nearing two mountains and facing the Baofeng Lake. From the Zhangjaijei airport and the train station are only about 40 minutes. 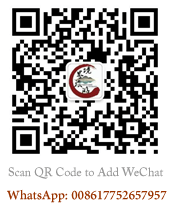 From Baofeng lake, Huanglong Cave, and Tianzishan scenic spot are only 5 minutes. Standing in the room, you can overlook the classical landscape―Baizhang Valley and you can walk along the Wuling Avenue and Suoxi when you are free to experience the local customs and practices of Tujia people. 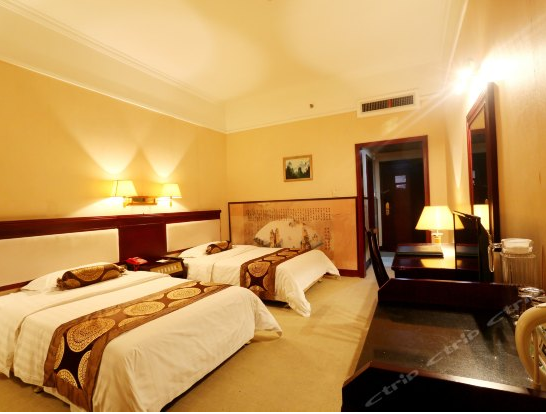 The Hotel with grand appearance, there are the implicit of traditional classic and the novel of modern fashion. 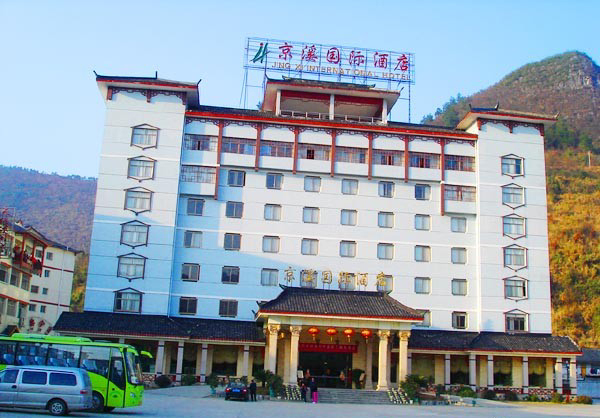 The hotel is the highest and the most beautiful building in Wulingyuan now. Its equipment is advanced and facility is perfect and function is complete. 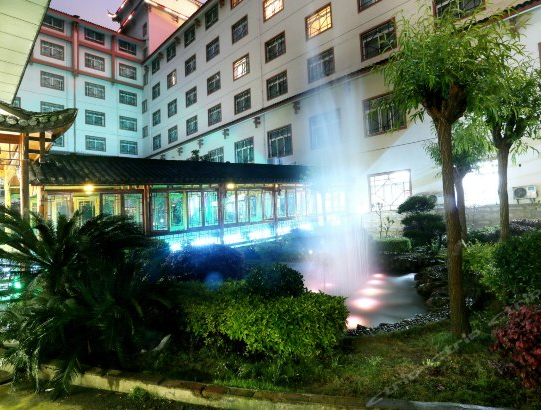 It has 166 luxury rooms and the Chinese and Western restaurants can hold 400 people at the same time and banquet hall and all kinds of boxes. And it also has Sauna massage, shopping mall, jewelry store, leisure garden, business center and other ancillary services. 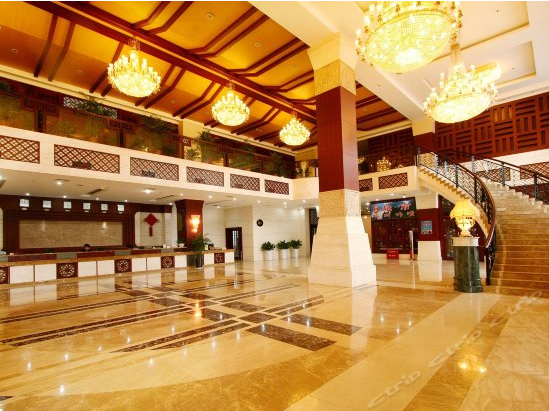 In particular, the luxury conference hall is a beautiful landscape which can accommodate more 300 people. 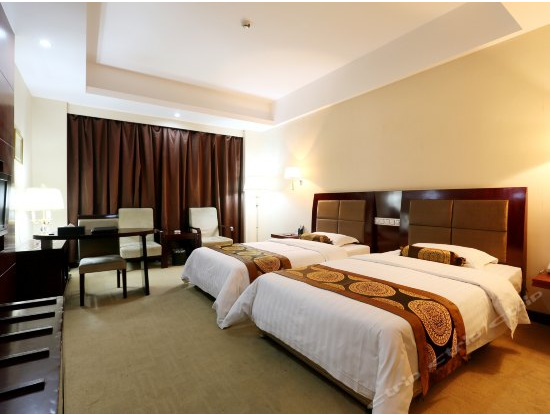 Jingxi international hotel is the ideal place for your travel, vacation, leisure or all kinds of meetings. Jingxi people will adhere to the aim of "guests first, reputation first". Warmly welcome your presence!